In July (2012) Salt Lake City’s City Weekly interviewed former Mormon John K. Williams. The resulting article, “Mormon Mission Spin – John K. Williams: Pressure To Be Positive,” discusses Mr. Williams’ experiences and personal struggles as a Mormon missionary in Bolivia, as a returned missionary, and now as an ex-Mormon. The focus of the interview, as the article’s title indicates, is on how the Mormon Church controls and spins the way LDS missions are perceived by non-missionaries. Another aspect of the article – also fascinating — is how the Church spins and controls the way members perceive those who leave the Mormon faith. In either scenario (missions or apostasy), pressure to be positive (or silent) is brought to bear on the people involved. For Mr. Williams, the pressure to be positive kept him from being honest with himself when he began to question Mormonism. The LDS Church’s “pressure to be positive” had kept Mr. Williams in the Mormon Church, had kept him in an attitude of making excuses, rationalizing and justifying things he knew were wrong. The “pressure to be positive” caused him to self-censor — not only his words, but his thoughts as well. Until he just couldn’t do it anymore. I don’t know where Mr. Williams is today in regard to his faith, but Jesus said “the truth will set you free.” Hopefully, recognizing the truth about the Mormon Church is, for Mr. Williams and others, the first step toward that boundless freedom Jesus offers those who give up their striving for personal worthiness, and instead place their trust in Him: “If the Son sets you free, you will be free indeed” (John 8:32, 36). This entry was posted in Truth, Honesty, Prayer, and Inquiry and tagged Ex-Mormon, Polygamy. Bookmark the permalink. problem it’s reassuring to know that it also contains the solution. This story is way too typical. It’s almost like a franchise. It’s predictable, and I don’t mean that in a derogatory way. I’ve read countless testimonies of those who have left and the pattern is pretty much the same. There are Mormons who aren’t on a truth quest but who just get sick of the hassle and fade out of the LDS clan. Mormonism just didn’t take with this folks. For others though, truth is a priority in their lives. They are more curious and want to know who the man behind the curtain is that is pulling the levers. Mormonism thrives on its folklore and members often don’t distinguish between church doctrine and the well spun stories. that officials of the Roman Catholic Church support the LDS Church’s efforts to build the Rome Italy Temple and that this support was forthcoming because of the church’s support of Proposition 8 in California in 2008. OK I got these out of WIKI which I wouldn’t assign as a super duper primary source, but I’ve seen these in other places. The point is that these folklore stories are eaten-up by many Mormon faithful and are used to bolster their faith. Some of them are so outrageous that it’s easy to see why Mormons believing them are of such a mentality as to accept anything as true. This type of Mormon isn’t about to delve into or question anything about Mormonism. Add to this the thought of eternal damnation and the devil being the author of anything that questions Mormonism and these folks aren’t going to let their curiosity get the best of them. When you consider that for many Mormons, the LDS church is the focal point of their entire lives, they just aren’t going to go there when it comes to examining Mormonism. There’s just too much too lose, too much pain to endure and just plain lack of courage. I’m going to post a link with five videos John Dehlin did with Anne Wilde, a Mormon fundamentalist. She’s really refreshing to listen to because she doesn’t try to hide Mormonism. She comes out very confidently and clearly articulates all of the things that we Christians are accused of making-up about Mormonism. I’d go right to part five because that’s where she talks about the Mormon god. I learned quite a bit listening to her. It sort of blew my hair back but she really has her gods straight. She’s got Michael the Archangel who is really the god of this world, coming down to earth as Adam with one of his wives Eve. Elohim to her is the council of the gods because it’s a plural term. Unbelievable really! She is absolutely firm and can articulate “truth” very clearly in the sense that she has absolute confidence in what she is saying. Watch the first ten minutes to get that part but the rest is also interesting. Again, I’m struck by how convincing a person can be who has a certain manner and an ability to communicate with confidence. What they say can be absolutely out in left field but confidence and a certain type of enthusiasm sells. That’s all part of oppressive groups. There are rules, like the “No talk” rule. Anyone pointing out a problem is attacked and is then seen as the problem. Autocratic environments have a lot of pressure to look good on the outside. Thus, be positive and happy. While this is going on there are people with real problems who are growing more depressed and anxious by the day and cannot find a way to cope. Well they do find ways to cope but too often they are destructive. This only adds more to the guilt, shame and hopelessness they feel. I never went on a mission myself, but I’ve been aware of the sugar coating problem from listening to family that did. Hopefully in the future we can prepare our youth that there will be highs and lows out there, just like in real life, and that knowledge can stay with them when they return, leading to a healthy outlook on life. Falcon commented on the high use of anti-depressants in Utah. On thing to keep in mind is that Utah is in the middle of America’s “suicide belt”, a grouping of states from Montana in the north to Arizona and New Mexico in the south with a disproportionately high rate of depression and suicide among their citizens. Utah’s high use of anti-depressants (and low rate of suicide when compared to other states in the suicide belt) could be the result of people facing there problems and getting the medical help they need, not burying there heads in the sand. 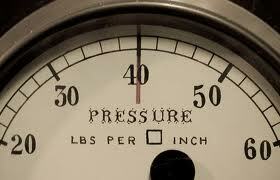 You can not deny the enormous amount of pressure put on Mormons to be perfect. The enormous amount of pressure from jobs they feel they HAVE to accept in the LDS church. I know many, many LDS people who are worn to a frazzle trying to raise their families, work full time, be perfect, do all the LDS church requires plus the calling they serve in the LDS church, and they are medicated to the hilt. I have worked with ladies who are high on pain killers, and so low on drugs like Valium and Somas. They just can’t deal with all the pressure. Women who are involved with the young women’s program are never home because of all the activities. What about their own children? Men in the bishopric are gone all the time too. My neighbor was put in as bishop when he was in his 20’s and he talked to me about the enormous pressure put on him and the worst part was the counseling that people needed from him and he was not qualified at all! He told a story of an older couple who where wanting a divorce and came to him for marital counseling and he had only been married for 7 years. He was not qualified to counsel these people. What pressure. If LDS people are going to their bishops for counseling they most certainly are not getting the help they need. Medication is a bandaid. All these medicated Utahns really need to see qualified counselors not their ward bishop. I have never heard of the “suicide belt” so I Googled it and what do you know, FAIR has a piece on it. From reading that, I can tell that your last post came from FAIR. Forgive me for not believing anything that comes from FAIR. I have read outright lies from them. Let’s not forget that states surrounding Utah also have many LDS people living there. What about the boy from Idaho who commited suicide because of the LDS church’s pressure? His name was Kip Eliason. The bishop interviews that are conducted with teenagers are out of line and should be illegal. I know from asking my own son about his interview. I was appalled at the questions he was asked. I did not allow my youngest son to interview with the bishop. These teenagers are minors and should have a parent present. Some of the questions that are asked are very inappropriate and guilt provoking. I was sickened over my son’s interview, I can’t imagine having a teenaged daughter asked those things. I was never interviewed by a bishop as a teenager. We were inactive at the time thank goodness! There are many reasons why people commit suicide, and there are many reasons people take anti depressants, but you can’t say that people outside the “suicide belt” aren’t on medication because they just don’t seek help! Maybe they don’t have the religious pressures and aren’t in need of medication. Maybe they have freedom in Christ and don’t need medication. Who knows? Actually I should say that we were inactive after I was 16. I’m not sure what age they interview girls, but I’m so glad I didn’t have to endure that. Thanks for your input. It’s really nice to have former Mormons here giving their insights and personal experiences. I’ve heard about these bishop interviews with teenagers. It really makes you wonder if some of these guys are into sexual voyeurism. Here’s a website that has some articles related to bishop interviews. You may have to scroll down a couple to get at the topic you were referring to. I can’t imagine an adult asking a teenager these questions. I think personally that it’s a form of abuse. To have a religious leader, someone with spiritual authority, asking questions like these is totally out of line. I’ve had to question students of all ages about various things and I always had another adult in the room with me, most often the school counselor. There are topics I wouldn’t broach on a bet unless the parents were present. What these nimrods (bishops) don’t realize is that they have to protect themselves also against false accusations. Very stupid all the way round. And then these kids are suppose to be “positive”. Forget it! I’d be out the door and wouldn’t look back. I’m sure there are some bishops who are really into doing these interviews and I am sure there are bishops who have a hard time with it but it’s part of their calling. I can’t imagine having to ask anyone these personal questions and I’m sure some bishops are just as appalled. You’re right, anyone could press charges for child abuse, bishops should be required to have a parent present just as police officers, doctors, and teachers do. I feel sorry for the kids like Kip Eliason. I read his diary once and the anguish this kid went through is horrible. How many Kip Eliasons are out there? These interviews are very damaging to a kid. When I allowed my oldest son to run down to the church for his interview ( The ward clerk calls them and sets it up) I had no idea what was asked or discussed and I sent him fully trusting the LDS church and the bishop. How many parents do that? I would bet a lot of LDS parents are familiar with the interviews because they went through them as teenagers. What parent in their right mind would allow such a thing with their child, fully knowing what goes on? I think we talked about this once before but my sister in law isn’t and has never been LDS and my niece was baptized LDS, she wanted to go to girls camp one year and their ward clerk called her in for an interview and my sister in law told the ward clerk that he had to be crazy to think that she would send her little 14 year old daughter to be interviewed alone by an adult man.